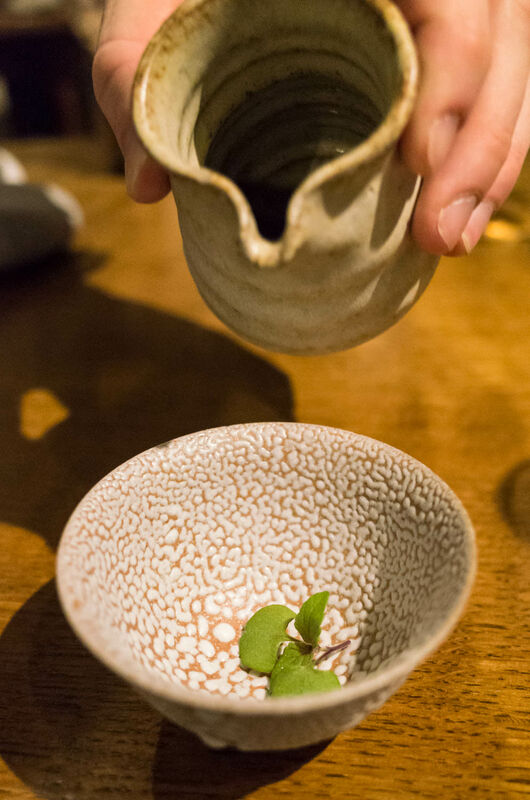 Following the success of last summer's Fäviken review, I asked my brother, Andrew, to write about his recent trip to L'Enclume. Foodie ‘bible’ The Good Food Guide awarded L’Enclume its maximum 10 out of 10 rating for the fifth time in its 2017 guide, and named it to be its top UK restaurant for the fourth consecutive year. Owned and run by British chef Simon Rogan and his partner Penny Tapsell, the double-Michelin star, five AA Rosette winning L’Enclume is their flagship restaurant amongst what appears to be an ever-expanding number of other eateries. 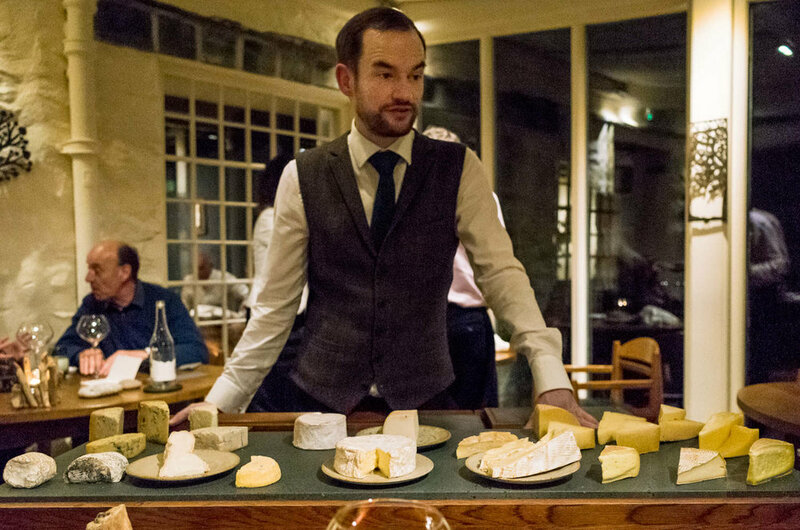 When I checked recently, as well as L’Enclume, other eateries in the group included the Rogan & Company restaurant and Pig and Whistle pub in Cartmel, The French and Mr Cooper’s House & Garden (both in Manchester), Michelin-starred Fera at Claridge's and the Roganic ‘pop-up’ restaurant (both in London); the Aulis development kitchens at L’Enclume and Claridge’s and, as if that wasn’t enough, a 12-acre farm just outside of Cartmel. As we schlep northwards along the M6 motorway and then on to the A590 towards Cartmel, I have a few things mulling around in my mind. Firstly, where on earth would you find the energy to run several award-winning restaurants, a pub, and a farm? Secondly, I’m thinking about this review, and one particular salacious detail: the cost of our visit. It won't come as a surprise that dining at one of the world's great restaurants is not going to be cheap. Understandably, for some the cost will be beyond justification. So let’s get it out of the way early: our visit - including dinner at L’Enclume with accompanying cheese and drinks flights and a one-night stay in a suite, but excluding any tips - cost, for two people, £821.50. Finally off the M6 and driving deeper into the Cumbrian countryside, the final thing mulling about in my mind is… what are those strange noises coming from the bottom of our car, and where the bloody hell are we? For our last epic food adventure my wife and I travelled over 1,000 miles to arrive at Fäviken, one of the most remote restaurants in the world. We took two plane journeys, hired a car in Norway and drove across the land border to rural Sweden. Not once did we get lost. We’re asked to arrive at L'Enclume for midday. The small historic village of Cartmel is located in a quieter corner of the Lake District. Surrounded by mile-upon-mile of farmers fields, it has a character quite different from the well-known touristy towns of Bowness-on-Windermere, Ambleside or Keswick. ‘Our Farm’ is conveniently located only a mile north-east of the village. Inconveniently, we’re at L’Enclume’s former farm which is still listed on their website. It is 1 mile west and, to complicate matters further, we’ve taken a wrong turn along a path which is car-destroyingly craggy, narrow and steep. Very steep. Reception kindly direct us back to the restaurant and arrange for us to be driven to the farm. At the farm we meet one of the growers, Simon. A more patient and laid-back character you could not wish to meet. Simon walks us around a handful of polytunnels showing us the raised beds where many varieties of vegetables, herbs and edible flowers are grown. We’re encouraged to pick and taste the fresh herbs and flowers. Simon explains that the farm is in its 4th year and that the ingredients grown here are used in Rogan’s Cartmel restaurants, as well as being transported down to London to be used in Fera and Aulis at Claridge’s. The farm is said to supply over 90% of L’Enclume’s produce. The thing I admire most is that nothing goes to waste. Even food waste from L’Enclume is recycled and used as compost at the farm; the farm-to-plate-and-back-to-the-farm ethos. The effort that has gone into controlling the consistency and the quality of the ingredients is truly impressive. Cows, chickens and pigs are also reared at the farm and there is an orchard where it is planned that a variety of fruit including apples, damsons and pears will be grown. I’m informed there are plans to build a smokehouse and possibly a meat curing room up here. I’d go a step further and, during the summer months, move Aulis at L'Enclume to this location too. After an enjoyable 45 minutes or so walking around the farm we are collected and driven back to the village. 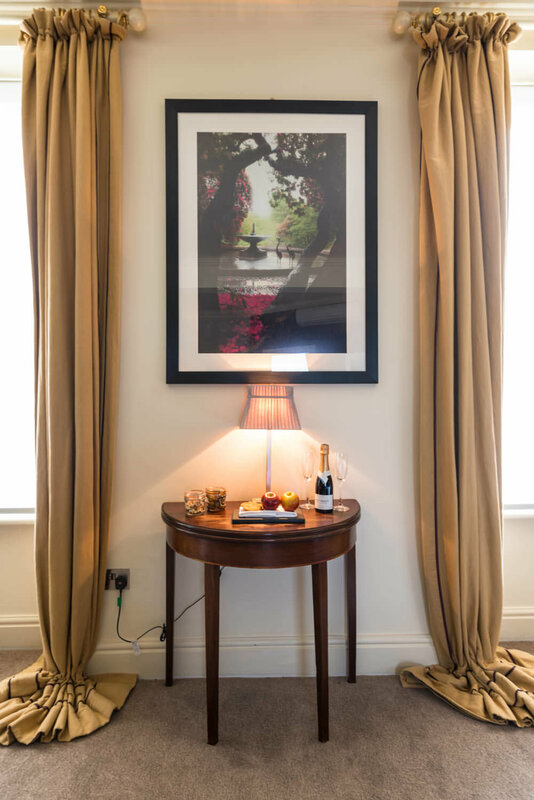 We’ve booked the Cartmel Escape package, and our room is one of the suites. Housed above a fantastic coffee shop in the centre of the village, the room is spacious and has a nice blend of modern features and antique furniture. It has everything you could need or expect. It’s now 2pm and, despite wanting to save ourselves for the meal tonight, we’re ravenous. Regrettably our stay is on a Tuesday when Rogan & Co is closed so, on receptions suggestion, we try the nearby Cavendish Arms; an excellent recommendation. The British weather is at its changeable-worst. Sunglasses are needed to protect eyes from the sun, but also from the sporadic hail storms too. After lunch we opt to have a walk around the village, tracing the path of River Eea. Even if it wasn’t home to one of the worlds best restaurants, picturesque Cartmel would be worth a visit. Possibly unfairly, it has recently been called ‘Roganville’ due to the number of establishments Rogan has here. While we walk around we discover why. Almost everywhere you look, L’Enclume employees are busily hurrying in and out of buildings dotted around the village, all working feverishly to make the great engine work. Should you ever make the trip, I encourage you to play a game somewhat alike Whac-A-Mole; you win a point for every L’Enclume employee you spot entering or exiting an unexpected property. The loser pays the bill at the restaurant. We arrive at the restaurant just before 7pm and are met by Sean, L’Enclume’s assistant head waiter, who shows us to our table in the conservatory. L’Enclume is housed in a 700 year-old stone-built former smithy. The interior is almost Scandi-style with rugged whitewashed walls, plenty of slate, glass and dark wood; bringing many of the Lake District's natural elements into the dining room. Decorative metal wall panels and a couple of anvils are dotted around (L’Enclume is French for the anvil). Service is the perfect mix of friendly-formal. Too often in fine dining restaurants the service can be awkwardly formal, uncomfortably so. Not here. Sean takes the opportunity to ask if we have any food allergies that they should be aware of and, despite them being on the menu, takes it in his stride when my wife informs him that she is allergic to oysters. The evenings menu is presented in an envelope on each table. The diner has the choice of whether or not to open it before the meal, or to leave each dish as a surprise. We’re introduced to Valentin Mouillard the sommelier and, mistakenly believing it will result in fewer glasses of wine, opt for the Standard wine flight as opposed to the Signature (£70 versus £110, per person). I expect to find a scene of carnage. Food splattered on the ceiling. Purple-faced chefs bumping into one another. Expletives. Kitchen porters whimpering in the corner. We’re met with a remarkably calm and spotlessly clean kitchen. A comparatively compact space filled with a relatively young team. At the centre of it, Head Chef Tom Barnes. Cool as an organic cucumber (but not keen on having his photo taken). There’s not a morsel of food on the ceiling or anywhere else for that matter, but for the plates. Truly, I make more mess when making a single round of toast. We return to our seats. The main event is upon us. The procession of food and drink is to begin. I'm no Jay Rayner and don’t have the word-smithery or tastebuds to be a food critic, and so will not go into detail attempting to describe the food. I hope the photographs speak for themselves. If they don't, the accolades the restaurant routinely receives surely do. If you've read our Fäviken review, you will have read that I am vegetarian, my wife is not. I'll show each course, and where the dishes differ - many courses were the same for us both - will present my wife’s meal first followed by mine (denoted with a v). There is a scene in the movie ‘As Good As It Gets’ when Jack Nicholson's character utters the above quote. It is never far from my mind each time sommelier Valentin Mouillard approaches the table with yet another bottle of wine together with a detailed description of its contents. Possibly unwisely, given that we’re not big drinkers, my wife and I opt for the Wine Flight and the Cheese Flight. This guarantees that we will be served at least 11 glasses of wine during the meal and, on more than one occasion, our sneakily-efficient sommelier jumps in to top-up our glasses while we are distracted. As a result my wife and I are ‘merry’, and - as you can see - my camera is showing the signs of being inebriated too. Interestingly, at the start of the evening I was the only person taking photos. Fellow diners look at me with quizzical bemusement while I snap photos of every course. Three-or-so hours later almost every diner has joined me in taking blurry photos of food. Drunk-face selfies appear surprisingly popular too. We leave the restaurant at 11pm having enjoyed one of the best meals of our lives. Overnight a decent coating of snow has fallen on the surrounding hills. Breakfast is served at Rogan & Co. It's a delicious start to the day, and the perfect way to end our 24 hours at L'Enclume. As we’re about to begin our journey home we pop into a local store to buy a couple of small presents for our two kids. The friendly shopkeeper enquires if we're here to visit L’Enclume. I ask if she's ever visited: "No, never. My husband probably wouldn't like it. He likes... you know... a big plate of food". As we discussed at the beginning, for some the cost will be too hard to see past. 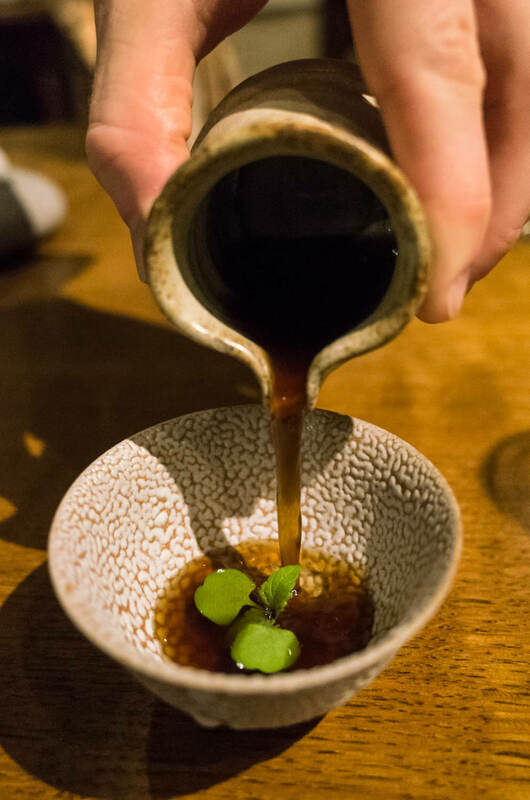 If you see food as simply a fuel, or a means to an end, then you too probably won't 'get' a restaurant like L'Enclume. I struggle to fully describe my attraction to such places, perhaps it is because my wife and I have our own eatery. I was fascinated to see a business, soon to celebrate its 15th anniversary, and what keeps it at the top of its game. The UK restaurant industry has never been more competitive and there are more eateries trading today than at any time before. L'Enclume is currently rated as very best of them all. 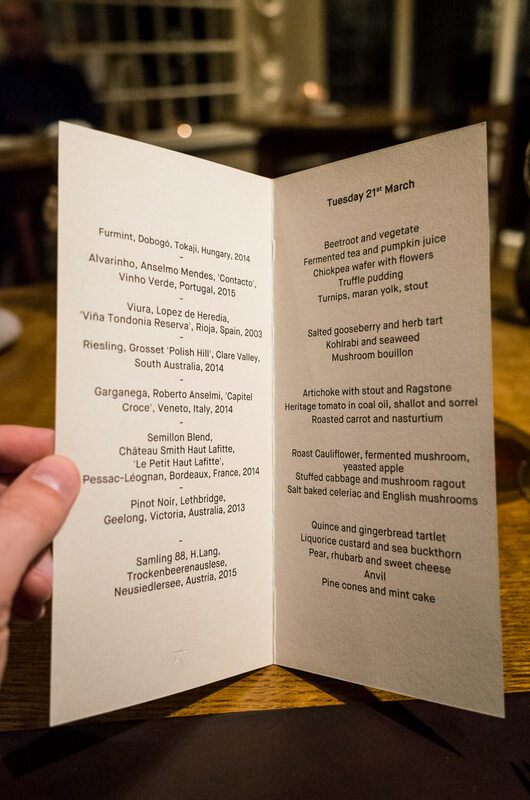 Such consistency is what is most impressive about L’Enclume, the fact that Simon Rogan and his team are able to deliver again and again, year after year. In a tiny village in rural Cumbria a talented team are skilfully producing some of the world’s best food. A mile away, in L'Enclume, a team of expert chefs are creating award winning dishes from that produce. If you visit make sure that you take in the whole experience and be sure to visit Our Farm. It is pivotal to the success of the restaurant, and it cannot be a coincidence that in each of the 4 years since Our Farm was born, L’Enclume has been named the UK’s best restaurant. We thoroughly enjoyed our L’Enclume experience. The only way we can think to better it is to dine at the Aulis development kitchen, something we plan to do soon. Many thanks to Simon, David, Amy, Mataya, Laura, Laudy, Clare, Sean, George and Valentin at L’Enclume, and Samantha at TCS for making our stay so enjoyable.